"Every time he saw a large ship, he said, he was hopeful, but more than 10 ships had sailed past him, none of them stopped or saw." 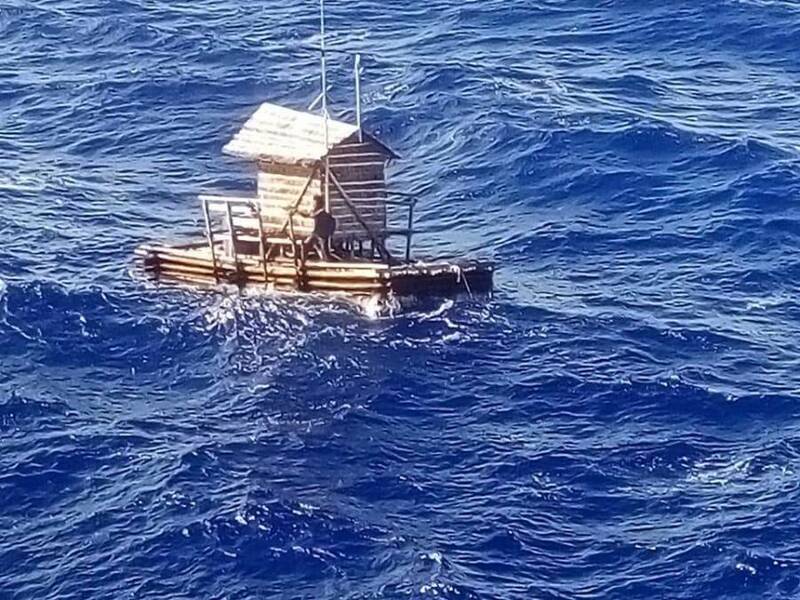 Facebook19-year-old Aldi Novel Adilang spent 49 days afloat at sea in his fishing hut before he was rescued by a Panamanian vessel headed for Japan. 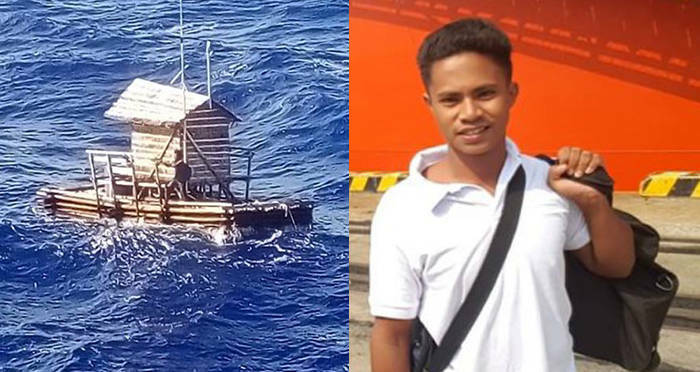 19-year-old Aldi Novel Adilang miraculously survived 49 days adrift on the Pacific Ocean with limited food and water. The teen hails from Sulawesi, Indonesia where he worked as a lamp keeper on a floating fish trap. Lamp keepers on these traps like Adilang attract fish by lighting the trap. Adilang has worked on this trap since he was 16-years-old. Each week someone from the fishing company harvests the fish he catches and provides Adilang with a week’s worth of supplies and food. Adilang’s floating fishing hut is one of 50 huts which are spread across the waters of Manado, the coastal capital city of the North Sulawesi province of Indonesia. The huts are anchored using long ropes that are attached to the ocean floor close to shore. Sometime in mid-July, those ropes snapped due to heavy rain and strong winds from a storm, causing Adilang to be sent into the ocean. When found, Adilang’s trap was located 125 kilometers (approximately 77.5 miles) out at sea. FacebookThe young man was ultimately located using a small radio that a friend had given him in case he was lost at sea. Adilang reportedly only had enough food to keep him nourished for a couple of days, and survived by fishing, burning wood from his hut to cook what he caught, and filtering seawater through his clothing to get as much salt out as possible. He also had a copy of the Bible on hand, as well as a small radio that a friend reportedly gave to him in the event that he was lost at sea. 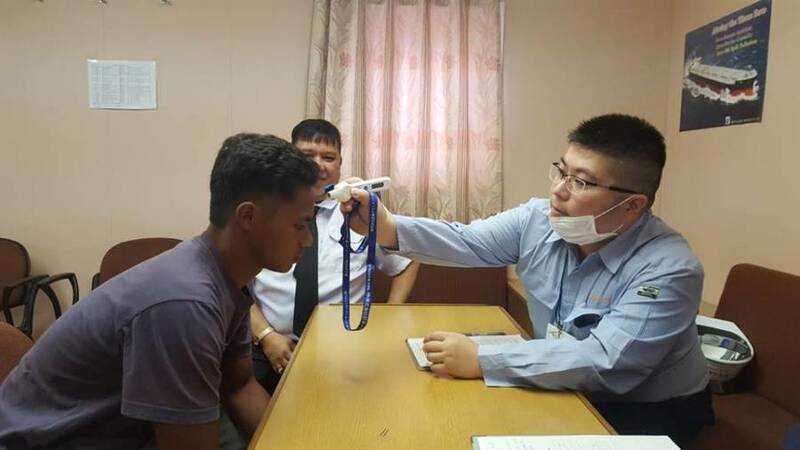 The Indonesian consulate in Osaka, Japan said that 10 ships had passed Adilang before he was finally located by the Panamanian-flagged vessel MV Arpeggio which picked him up near Guam on Aug. 31. “Every time he saw a large ship, he said, he was hopeful, but more than 10 ships had sailed past him, none of them stopped,” said Fajar Firdaus, an Indonesian diplomat from the consulate in Osaka. FacebookAdiland was given medical care upon arrival in Japan before he returned home to his family in Indonesia. Adilang first tried to get the ship’s attention by waving a shirt in the air. After this method failed, he sent out an emergency signal via his radio that was picked up by the vessel. 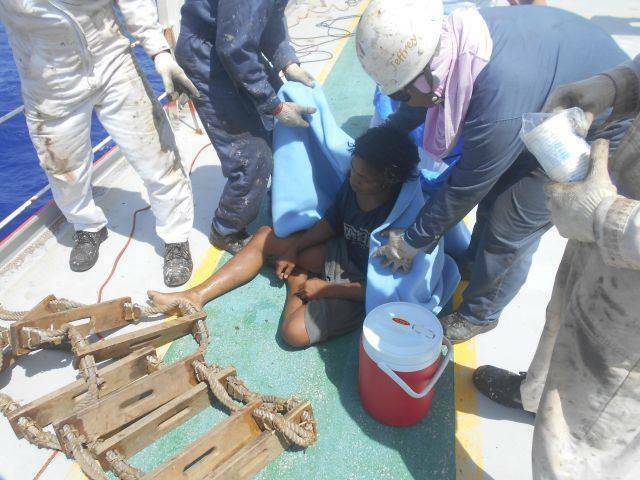 The ship contacted the Guam coast guard after they rescued Adilang. As MV Arpeggio was headed towards Japan, it was decided that he would be handed over to Indonesian consulate officials once the ship arrived in Tokuyama on Sept. 6. In an interview with local news outlet TribunManado, Adilang said that he thought he “was going to die out there,” and even contemplated committing suicide during his treacherous 49-day excursion. But he says that he remembered that his parents taught him to pray during difficult times, which is exactly what he did. Adilang received medical care in Japan before flying back home to his family on Sept. 8, and is reportedly in good health. Next, check out the true ‘Adrift’ story of Tami Oldham Ashcraft’s survival at sea. Then, read the story of Jose Alvarenga, who survived 438 days at sea.